Flat-fronted tapered petite trousers with a discrete adjustable waist and side zip. 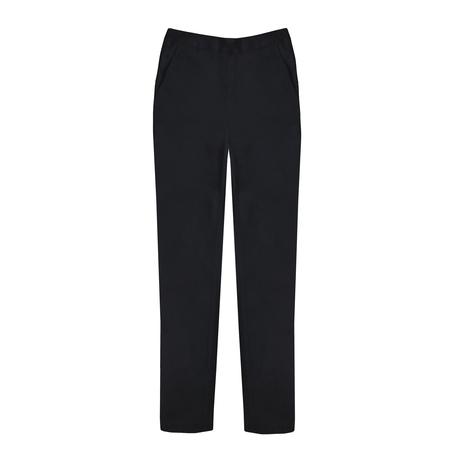 These petite trousers are super flattering at the tummy, making the wearer look slimmer. 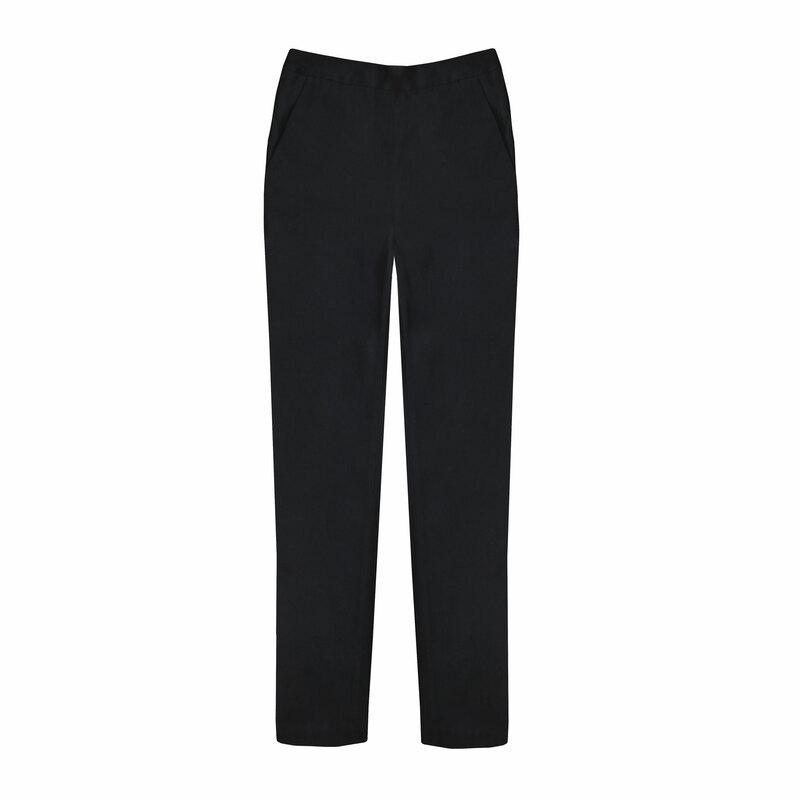 High-waisted to lengthen petites, these everyday black trousers are a workwear essential. Featuring two side pockets and two faux pockets to the reverse, this elegant style is cut to streamline your figure with pressed creases to elongate your legs. Our model is 5'1" and is wearing a size 6 trouser with 28 inch inseam. Model's measurements are Waist 26', Hips 36'.